Ray Rice, owner of Digital Sight & Sound, says fall is the perfect time to purchase and install a big screen television in an outdoor entertainment area to watch all the big football games. “Adding a TV and audio system is the best way to improve an outdoor living area,” Rice says. An outdoor television can add another dimension to your living space. However, it’s not as easy as going to a local store and buying television for outside, you’ll need to make sure it can withstand outdoor elements. “There are wide variety outdoor televisions and weatherproof entertainment areas to make your football dreams a reality,” says Ray Rice. Using a hands-on approach, Digital Sight & Sound will evaluate your space and layout to ensure you have the most optimal location away from the direct sun and cold weather. Don’t forget about the sound. While a television indoors might provide enough sound, an outdoor television might not have enough to drown out the traffic, lawn mowers, and children playing. Digital Sight & Sound recommends selecting a sound system that’s permanently installed and easy to access. 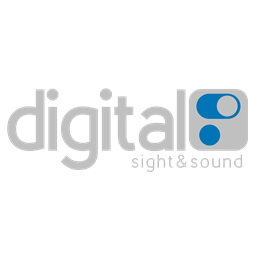 To learn more about Digital Sight & Sound or to schedule an in-home consultation call 317-848-0101.